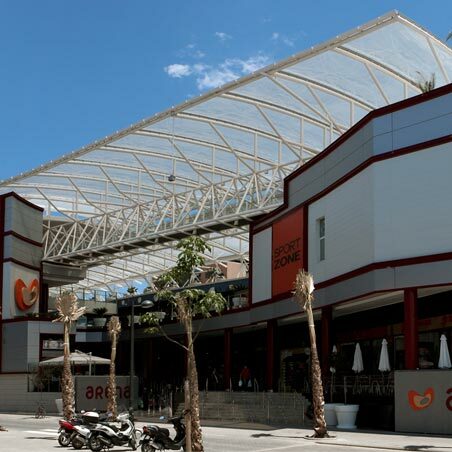 90 m x 16 m (in the rackets, widest part) approx. 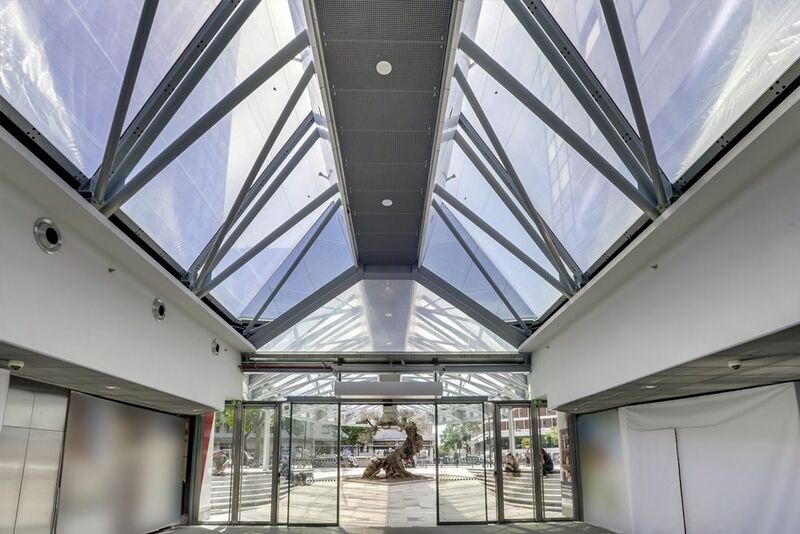 CC Réflets Compans located in the heart of Toulouse, France, has been rehabilitated and expanded. 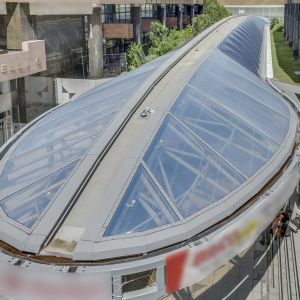 In the framework of this refurbishment, the old glass cover has been replaced; also in the entrances two new rackets have been created with the objective of drawing the attention of the passer-by and inviting them to enter the shopping centre. 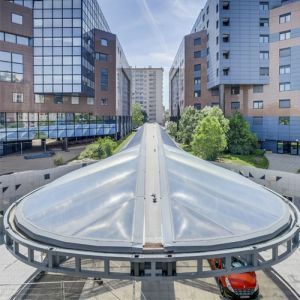 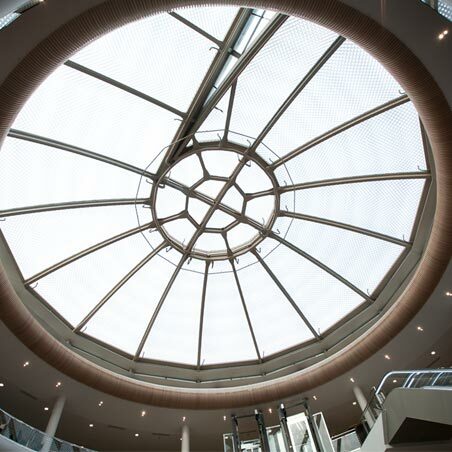 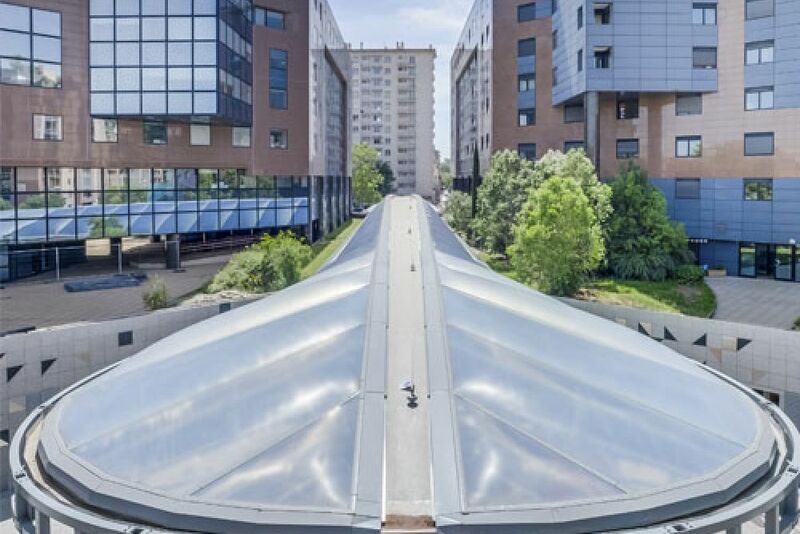 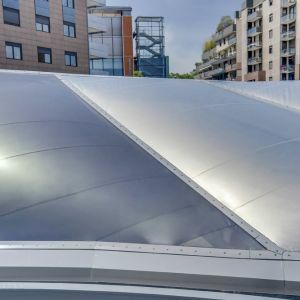 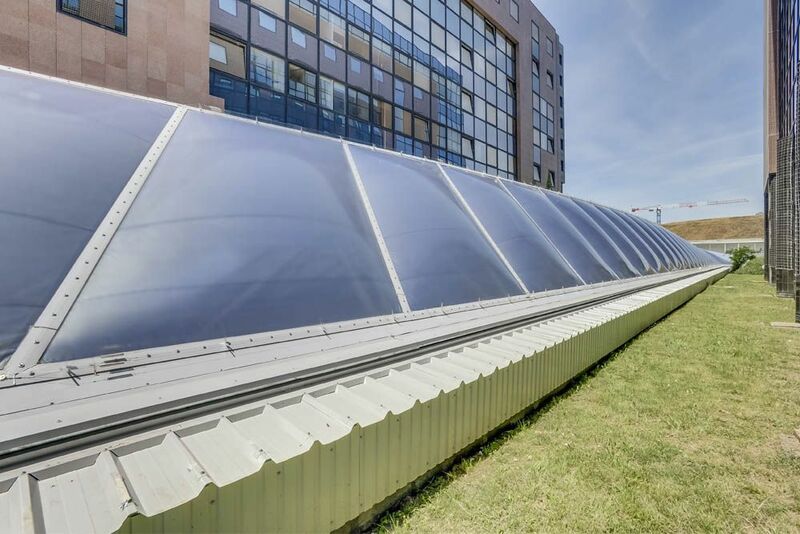 All of this skylight has been covered with ETFE cushions, each with different measurements covering an area of ​​approximately 664m², which adapt to the shape of the structure. 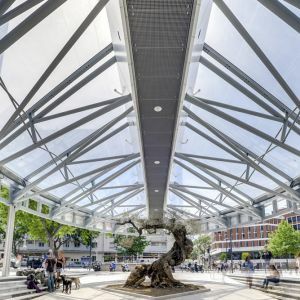 The new cover gives luminosity and transparency, enabling the exterior trees to have life, located under the access marquee, as well as the plants that are inside the shopping centre. 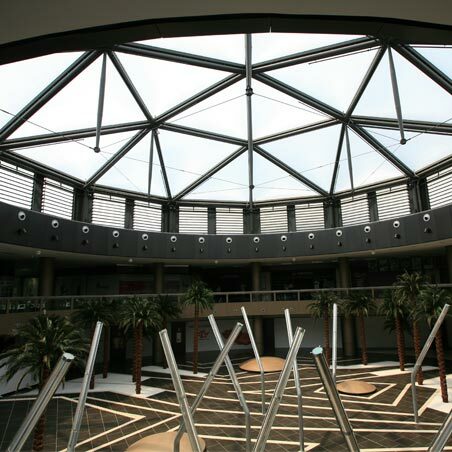 IASO carried out this work under its AVIS TECHNIQUE, which certifies the ETFE cushion system. 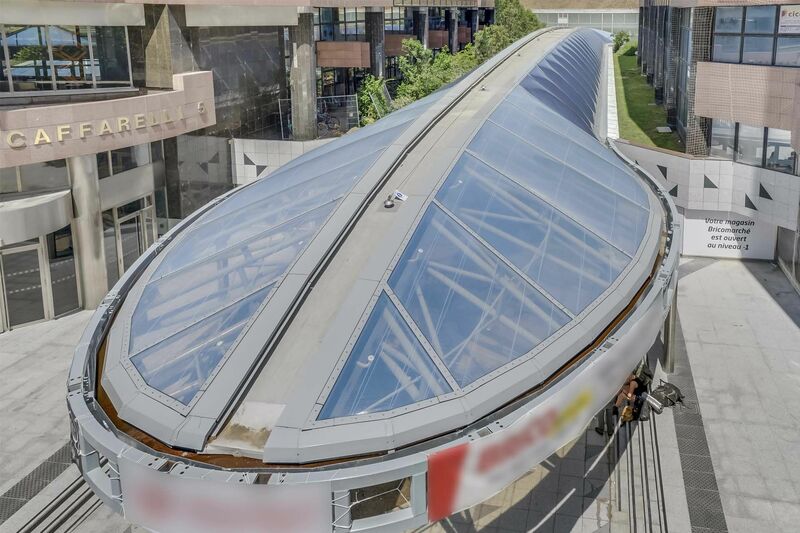 The new deck has 72 ETFE cushions located along the shopping arcade. 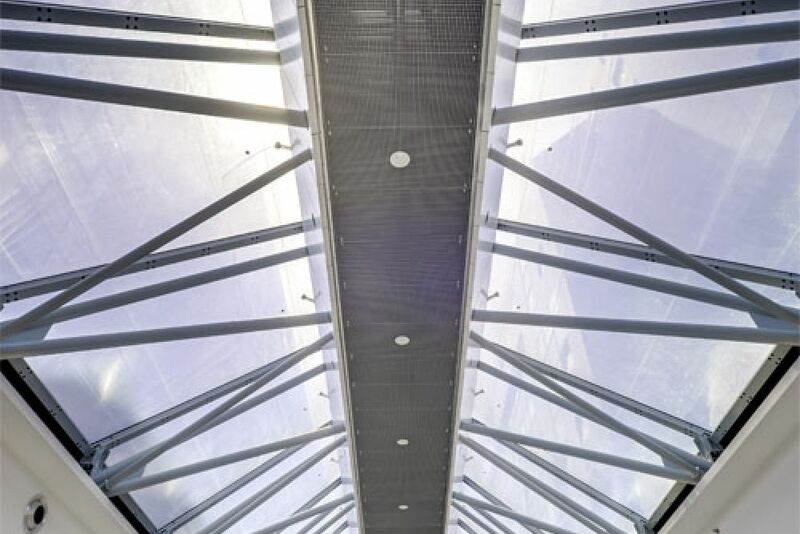 All of them are composed of 2 or 3 layers, each of which has different characteristics . 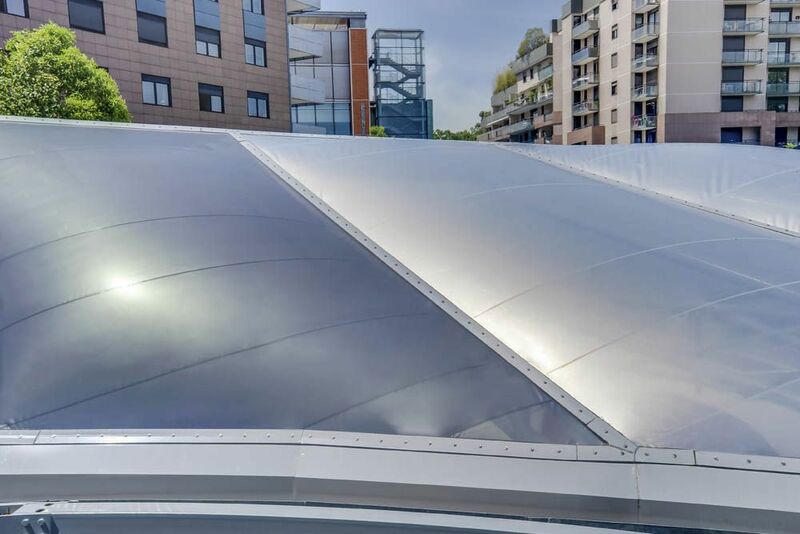 This work was carried out under the approved system of the AVIS TECHNIQUE of IASO for ETFE cushions. 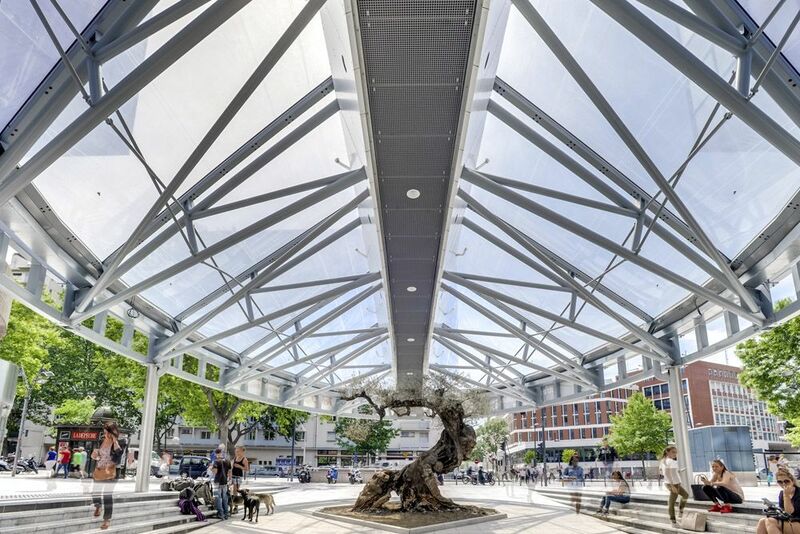 The racquet cushions are transparent, allowing the growth and development of the centenary olive tree placed at the southern entrance. 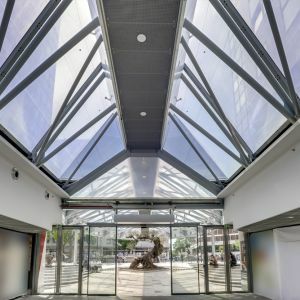 In the central part of the gallery the upper sheet of the ETFE cushions are silkscreened with points and have an IR-CUT filter, which allows the entrance of natural light to the commercial arcade absorbing the infra-red radiation. 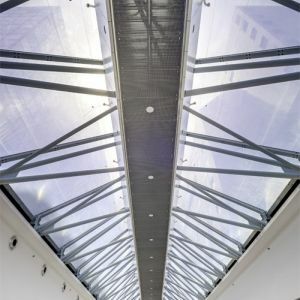 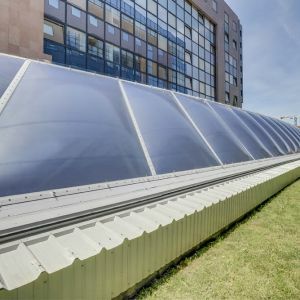 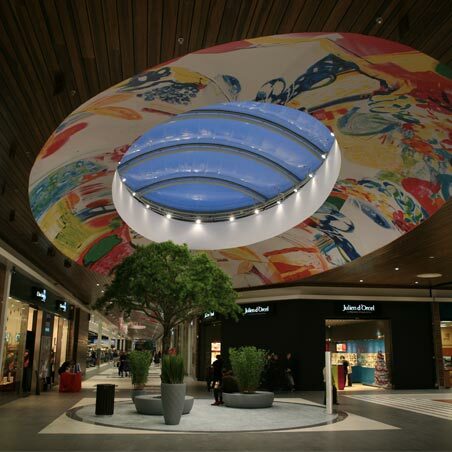 The great novelty of this ETFE cushion cover is the use of the ETFE IR-CUT filter in the 40 central cushions of the arcade, which guarantee protection against infra-red radiation without compromising the transparency of the skylight and improving the solar factor (g = 0.37), and therefore the centre's lighting, which is an added advantage of the ETFE cushion system.